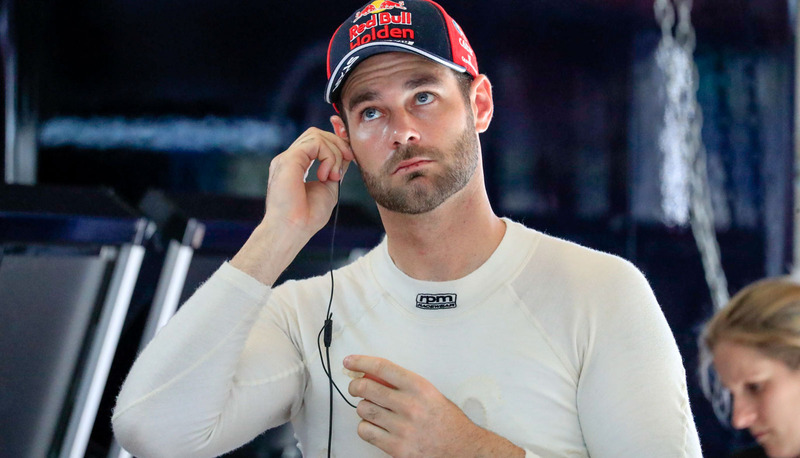 Defending Supercars champion Shane van Gisbergen says his Red Bull Holden team has cured the issues that hampered the #97 Commodore at the previous round at Darwin. The Kiwi crashed out of the Saturday race in Darwin before recovering to third on Sunday while bemoaning the front-end feel of his car under brakes. After finishing third in Friday’s second practice session in Townsville, van Gisbergen said the issues have been resolved. “After Darwin we had a pretty big go through of what we thought was wrong and we fixed it,” he said. “Straight away the car was much better than the problems I had there. “(We) worked through a normal program and I think we made some good gains. “In the race runs we’re a little bit off but we still feel pretty good. While his Red Bull team dominated the event last year, the 28-year-old says he has drawn little confidence in previous results. “It’s completely different and I think it’s going to be about rear tyres,” he added. “The track gets worse and worse every year as the tarmac wears away. After finishing fourth in GTD class at the Six Hours of the Glen last weekend, van Gisbergen said he re-adapted quickly to the familiarity of his Supercars despite a spin in the session. “We’ve got a good way of getting adapted to the Supercar again,” he said. “It doesn’t take me too long. We just did a couple of longer runs in the first session and that helps me get up to speed pretty quick. “It’s a big driving style difference between the two cars, but I felt like I was on the pace straight away and driving it properly.